IMPORTANT NOTE: THIS SITE DOES NOT PROVIDE MEDICAL ADVICE. It is intended for informational purposes only. It is not a substitute for professional medical advice, diagnosis or treatment. Never ignore professional medical advice in seeking treatment because of something you have read on our Site. If you think you may have a medical emergency, immediately call your doctor. 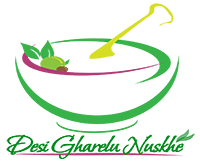 The contents of the desigharelunuskhe site, including text, graphics, images, and other material are for informational purposes only. Nothing contained in this site is or should be considered or used as a substitute for professional medical or mental health advice, diagnosis, or treatment. may have regarding a medical or mental health condition. In case of emergency, please call your doctor immediately. The information contained on or provided through the desigharelunuskhe site is provided on an "as is" basis, without any warranty, express or implied. Any access to this site is voluntary and at your own risk.